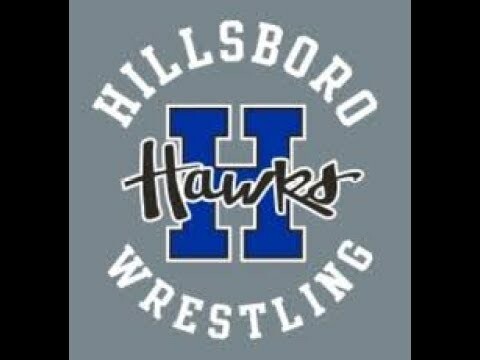 The Hillsboro varsity wrestling team won two duals Tuesday at Park Hills Central. The Hawks defeated Windsor 57-18, and also took down Park Hills Central 60-22. The season is winding down as the team points towards the all important district tournament on February 8. Tuesday, the Hawks outdistanced both opponents easily. Against Windsor, Anakin Schneider (160) pinned his opponent at 1:29 for six points. Aidan Haggard (113) won by technical fall, 16-0, and Benny Alley (138) won a major decision over his opponent, 13-1. Hillsboro also received 42 points through forfeits. The Hawks won five contested matches by fall against Park Hills Central. Dalton Litzsinger pinned his opponent in 2:26 at 120, while Junior Arnold won at 132 with a pin in 3:10. Logan Hendrix took down his opponent at 152 in 3:43, and Zach McNees won at 182, pinning his opponent in 4:35. “I feel really good about the way I’m wrestling,” said McNees. “My confidence has gone up a lot since the beginning of the year.” Finally, Joe Becker won his 285 match by pinning the opposition in 2:55. The girls did get a few matches in, with Mika Barciszewski wrestling twice, and Joey Madding and Marissa Hudman once. The girls will wrap up their first season this Saturday at their district meet which takes place at St. Clair High School. For the guys, tonight’s tri-meet at Gateway STEM has been cancelled, so the Hawks are now in the process of preparing for the district meet. The two day event begins on Friday, February 8 at Farmington.